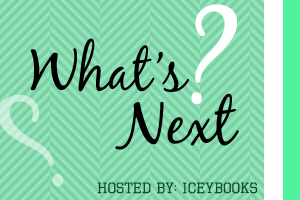 What’s Next is a weekly feature hosted by IceyBooks to help us a bloggers decide what to read next. Every Thursday, post three-five books you want/need to read but can’t decide which to read first. Here are two need to reads and one want to read. Which should I read first? When his sister is abducted in the dark of night, Dazz pledges to do whatever it takes to get her back, embarking on a quest that threatens to rip apart the very fabric that’s barely holding his shattered family together. Along the way he meets a group of unlikely allies in the form of a travelling group of fire country natives. Can Dazz, when joined with his best friend, Buff, and new tan-skinned friends, defeat the King and his guards before it’s too late for his sister?